Learn How To Plan and Launch Blog Successfully, 17 Proven Tips To Increase Blog Traffic and 10 Quick SEO Check List To Increase Blog Traffic. Starting a blog is simple and very easy nowadays, There are many blog hosting sites such as WordPress, Blogger, Medium, and many others. All blog hosting sites lets you start a free blog. But there is a problem, free blog hosting sites do not give you full control over your blog. If you want full control over your blog, You should start a self-hosted blog. We have published a step by step guide How To Create a self-hosted Blog in 30 Minutes or Less? To host a blog yourself, You need to choose a Reliable web hosting provider. 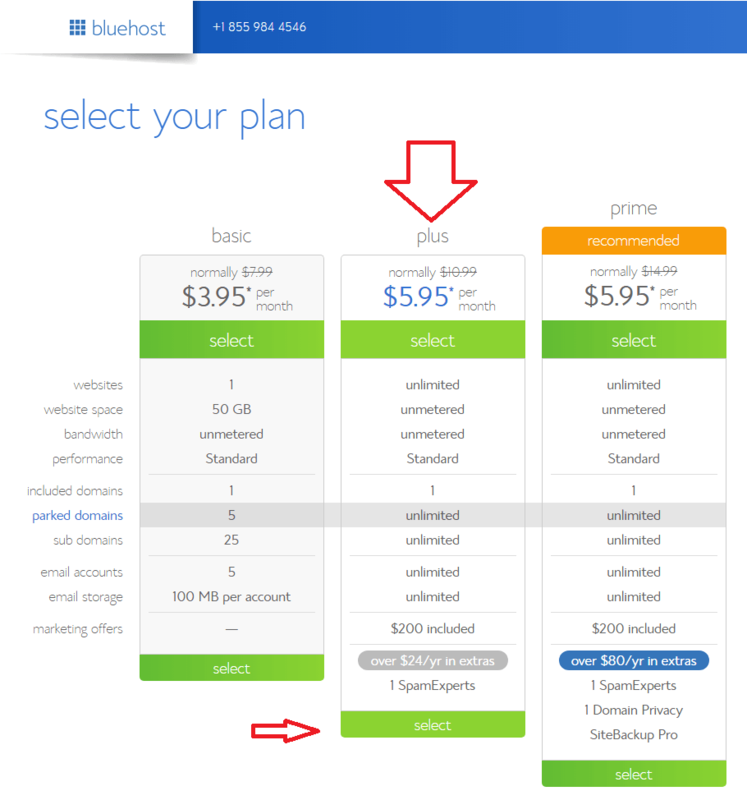 We recommend BlueHost, which offers some great affordable and reliable Web Hosting plans with a free Domain Name. Starting a blog is really easy, you can learn very easily how to get your blog out there. 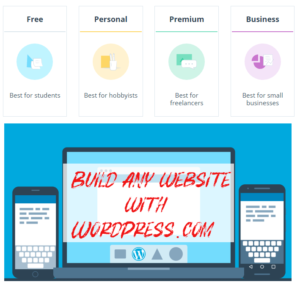 WordPress has made it really simple and easy to start blogs and websites. If you are a serious blogger, You should learn successful blogging tips and tricks. In this article, I will share many tips, techniques that will help you to learn how to make a popular blog? I am also following most of these tactics to increase blog traffic and email subscribers. Don’t forget to sign up for our newsletter to get the latest articles and resources in your inbox. Let’s learn how to launch blog successfully and 37 tips to increase blog traffic, build the audience and How To Make Your Blog SEO Friendly. How to build an audience for your blog? As a blogger, You always want to increase your blog traffic, email subscribers and make money. it’s not a bad thing everyone wants to do this. If you have an established blog with thousands of visitors, subscribers, then it might not be your first priority (to increase blog traffic and email subscribers), but as a beginners blogger traffic and subscribers are very important. You need an audience, to share your experience, expertise, and views. You might create and publish awesome and the best content on your blog. What if you don’t have the audience and no one reads your awesome blog post except you. Only you write, you read and you appreciate your content. Before creating and publishing awesome content, You need an audience that wants to listen, learn and read what you share. Think of a professor, giving a lecture in a classroom and there isn’t any student to listen. Your Lecture can be immensely effective and useful in the classroom but there must be some students in the classroom. I am sure, You don’t want to talk to walls, you need visitors, audience, and subscribers and you really want to increase blog traffic. But the question is how to increase blog traffic, email subscribers and make money as well. I will explain what you need to do before publishing your first blog post, or even if you already have published a few or many blog post on how to attract visitors to your blog. Study other related blogs: Study the other bloggers in your niche, learn about the hot topics in your community, figure out where your potential audience, readers are hanging out, identify who the leaders are, and read up on some of your favorite writers, blogger, popular blogs and the people whose voices you would like to emulate. You will find that a lot of your writing is affected by what you read. Seek out the good bloggers, writers, blogs and follow them. Follow them on twitter, Facebook or you can join their email list. Write about Trending Topics: See what type of content they publish and what type of articles are more popular (See the number of comments, twitter, facebook shares etc). Don’t forget to install the social sharing plugin on your blog, so your readers can easily share your content. Here are a few key points to remember. Pick a topic, niche for your blog. Decide what you want to blog about. Come up with a great idea to showcase your skills and knowledge. Make sure your topic isn’t too narrow, it should be wide enough, so you will not get bored with it. Come up with a slogan that sums up in as few words as possible what people will find on your blog. Brainstorm possible easy to remember and interesting names for your blog. Register a suitable domain name – not too long, no-hyphen, don’t use numbers misspelled words, choose easy to spell domain name. setup a blog and create a coming soon page or you can use a simple HTML coming soon page. create a freebie such as a small eBook, email course or few videos. create a landing page, where users can download/subscribe eBook, videos or email course. Ask readers to subscribe to your blog to download your freebie. Write guest posts only about your niche and relevant blogs. Share your blog/website/landing page/social media links in the Author Bio. Optimize Your Author Bio, otherwise, you might be missing out on traffic and quite possibly, revenue. Create a content strategy: how often you will publish. Write and schedule at least four blog post on your new blog so you can focus on blog promotion, guest posting etc. Install a fast and elegant WordPress theme. Design matters, choose a theme with great design. Now Launch your blog. Comment on other industry blogs and link your name back to your own blog to encourage people to follow it back. Publish an XML Sitemap. You can use the Yoast SEO plugin‘s SiteMap feature. Use rel=canonical for duplicate content. Write a descriptive meta description to persuade searcher to click on your link in search results. Use relevant keywords in your content. Optimize Your Images (image size, alt text for images and descriptive image names). Use tinypng.com to reduce the size of PNG and JPEG images. Guest Posting: When you set up all the above steps and start guest blogging, you will start receiving traffic to your blog. But keep one thing in mind when writing guest posts must be related to your niche, for example, if your blog is about WordPress, write the awesome and useful articles about WordPress and must submit on WordPress related blogs. Optimize Author Bio: When people will read your post, they will see your author bio, most websites allow you to add a link back to your website. Use this opportunity wisely. Provide the link to your newsletter or landing/offer page. Read this post How to Write a Quality Author Bio at HubSpot Blog. Not everyone will visit your blog but there will be many people, who will visit your blog, sometimes you will hundreds and even thousands of new visitors and subscribers. Convert visitors into subscribers: Keep in mind, driving traffic is not enough, you will have to convert visitors into email subscribers, you might be interested in increasing your social media followers, but email subscribers are most valuable when it comes to selling your products. You should create a freebie also known as the ethical bribe, and ask visitors to enter email to download your freebie, must set up a sign-up form, and make it visible, highlight it so people can easily see your offer. If you will offer something valuable to your visitors, you can collect 100 to 1500+ email subscribers, and thousands of visitors to your blog, after a great guest post. Make sure you write a guest post for a blog, that already have a lot of visitors, if you will write for a blog that has 2000 monthly visitors, you won’t see any noticeable change in traffic and email subscribers. Now you know how to launch ba log successfully and how to increase blog traffic and email subscribers. There are many other things and tactics that can help you to grow your blog. I am going to list some other useful articles with you, read all these articles to learn more about successful blogging. I hope now you know all the most important and necessary tactics to launch a successful blog and increase blog traffic. If you want to add anything, add your comments below. Thanks for the great tips, I gained lots of stuff here, I am looking forward to creating a new blog, keep doing this great work and keep sharing with us. Excellent write-up Tahir definitely worth reading! The blogging career is the most challenging yet the most creative too. And when you are planning everything before and working accordingly., you get nothing to worry about. Tips you mentioned in the article are definitely make a beginner go through. I am happy to go through from your lovely post but i m bit confused that how i can start to get this monster traffic on my blog because i have my own blog with models pictures with more then 1000 posts in the start i was posting and sharing my blog post on facebook page as well as stumble upon and i earned money but now facebook not allow me to share my blog post i m stuck now only i can post on stumble upon and my daily visitors are not more then 5 so since last 5 months no earning please guide me how i can boost up my blog.contact with me in my email waiting for your quick response. Always optimize your blog posts for SEO, You can read this detailed posts to learn more about How to optimize WordPress for SEO. You can also write guest posts on related blogs to drive traffic to your blog. Don’t share too many posts on FaceBook, share posts once a day or few times a week. Create a facebook page and connect with WordPress to automatically share latest posts on a facebook page. 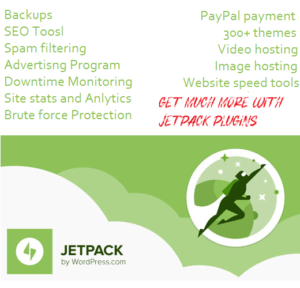 You can use JetPack plugin, it’s free. Great list. I’ve been blogging for about a year and missed a lot of the SEO stuff you mentioned. I need to get on that. Thanks for providing best information of “how to increase traffic”. Nice writeup, I found some new things that I could apply for my current blog and for my future campaigns.